Celebration of the Lord’s Passion 3:00 P.M. 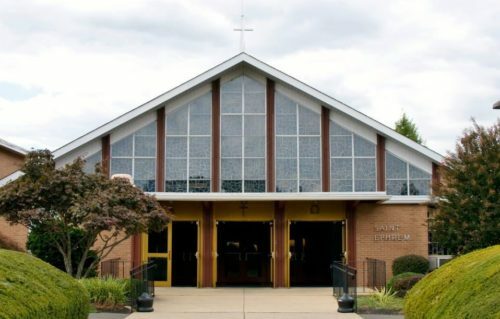 Welcome to the St. Ephrem Catholic Church Website! We, the faithful of the Roman Catholic Church of Saint Ephrem, join together with Pope Francis, the Shepherd of the Universal Church, Most Reverend Charles J. Chaput, O.F.M. Cap., D.D. Archbishop and Shepherd of the Church of Philadelphia, and our pastor, Monsignor Kenneth P. McAteer, Shepherd of the Saint Ephrem Parish Family, to proclaim that we are called to be, and to become loving family centered in Jesus; and to proclaim to everyone the good news that Jesus Christ is the light of the world who offers to all who follow Him the light of the life. We acknowledge and accept that each of us is unique, and has special gifts from the Holy Spirit. We wish to nurture, develop and share these gifts within and for the Body of Christ. We cherish these gifts that surround us, the splendor of creation and the beauty of human life.